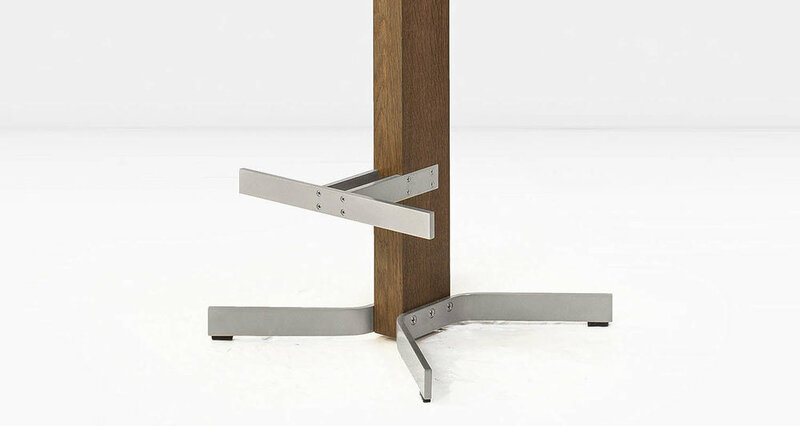 Thanks to the Walcott, swiveling barstools no longer have to rest on a metal post. The elegantly proportioned rectangular wooden base proves the rule can be broken. Shown in Fumed White Oak, Solid Brass and Cloud leather seat (last 3 images shown with Nickel base and Black leather seat). 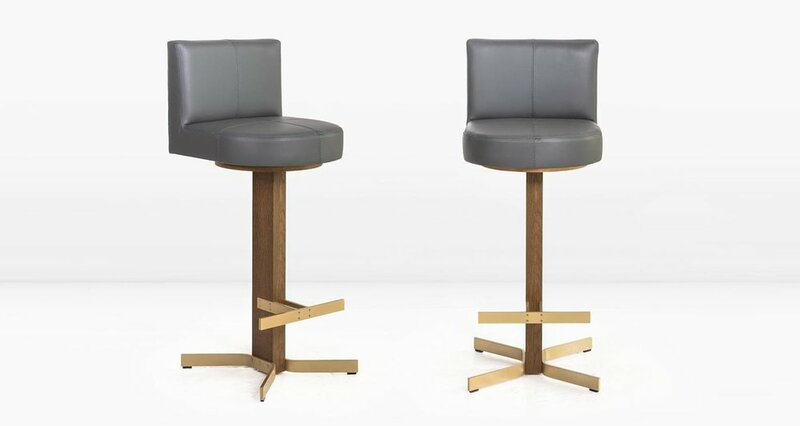 Available as a counterstool, without a backrest and with an American Black Walnut wood option.